It's not often you get a cake that needs to be unisex (other than a wedding cake, of course, and let's be honest, those are really all about the bride). 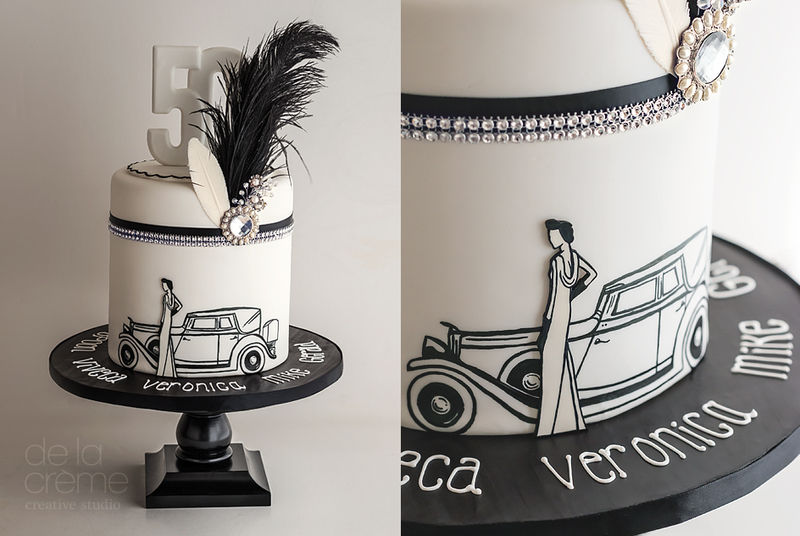 So this one was created to be a fabulous, two-sided, 'his and hers' cake! Hand-painted details gave it a vintage vibe, while jewels and feathers finished it off with a classic opulence typical of the era.